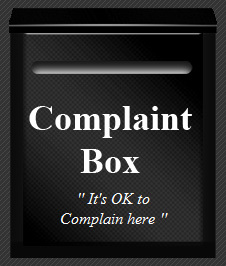 Please use this thread for your complaints regarding moderation, member issues etc. All provocative, insulting posts will be removed. Kindly respect eachother and work together for the betterment of this forum. Last edited by ignoramusenator; 22-03-2013 at 10:30 PM. Dc its such a simple things ur thread was reposted so it deleted . hmn. . . . . .
okay. . . . . . .
choro this discusion has ended. . .